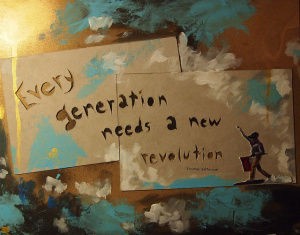 Thomas Jefferson famously said that successful democracy requires a revolution in each generation, and many democratic theorists have supported his argument. Indeed Tocqueville said that in order to interest the apathetic, democracy requires drama. Throughout the twentieth century that drama came from a series of major threats posed to democracy, especially from authoritarianism, elitism, and non-democratic economic ideas. It was against the context of those threats that each generation really did see a revolution, and one that was fought either implicitly or explicitly, about democracy.